I've been meaning to get out into the wilds and see how close the NP and Milwaukee lines were in this area north of Warden. The Northern Pacific, under the guise of the Connell Northern, had built through here with a line from the mainline at Connell to Adrian, where it connected with the Washington Central branch. At Bassett Jct, the Ritzville cutoff started, with the line graded all the way to Ritzville. Tracks were only laid as far as Schrag. Surveys had the line continuing west from Bassett Jct, all the way to Ellensburg. The Milwaukee branch from the mainline at Warden split at Tiflis. One segment went east to Marcellus, the west segment went to Moses Lake. 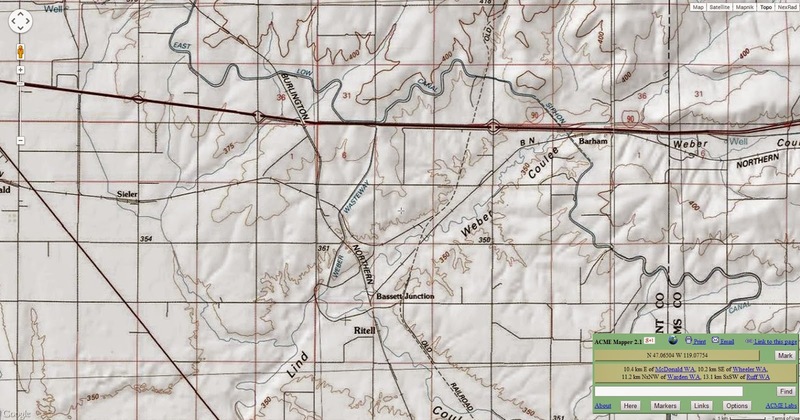 What the maps show are wyes, and crossovers, all within a small section of land. No lines crossed each other at grade. 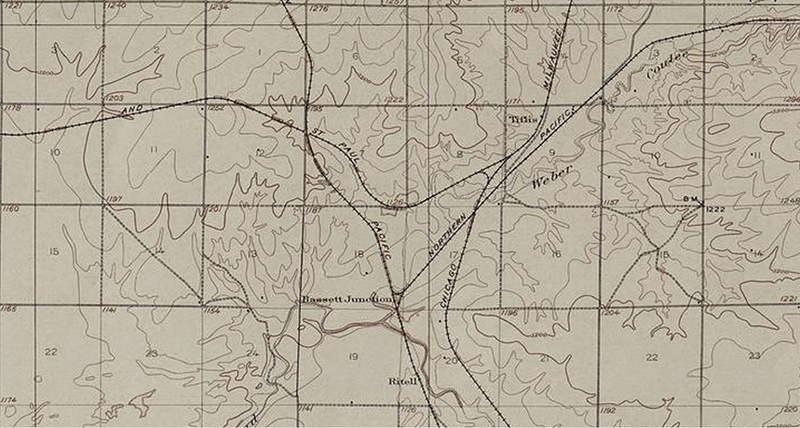 The first map is from 1925 and shows a pre Interstate 90 time, while the second map shows a 1980s view, largely unchanged today, showing how the interstate was built just to the north of all these railroad lines.